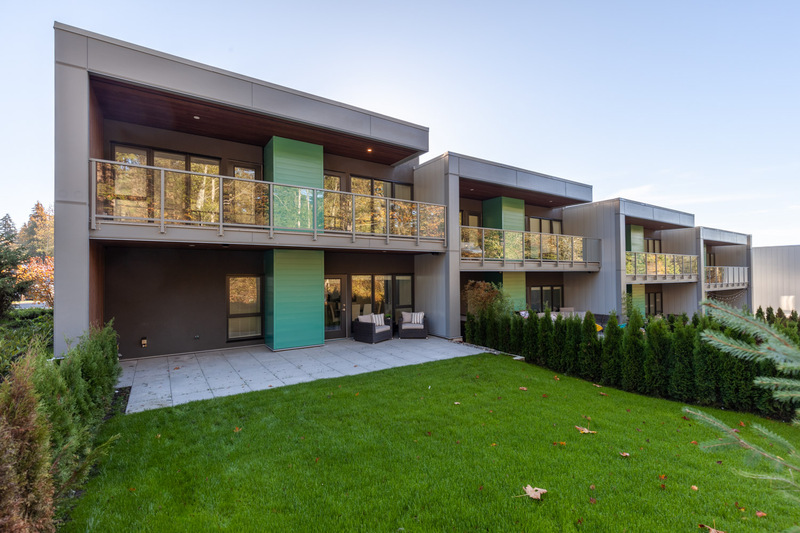 I am very excited to announce the sale of #30 3595 Salal Dr., North Vancouver, a modern 3 bedroom townhome located in the recently completed Seymour Village development at Ravenwoods. Through our marketing efforts, we are very pleased to have achieved a new record price for this floor plan type for our Sellers. Have you ever dreamed of living in a brand new home, surrounded by beautiful B.C. coastline, provincial parks and unlimited recreation opportunities? Welcome to Seymour Village at Ravenwoods, a collection of modern townhomes nestled in nature. From this location, you’re a quick drive to the best of North Shore schools, groceries, coffee shops, Deep Cove Village, Lower Lonsdale and shopping at Park Royal. Home #30 is the largest plan available at Seymour Village offering 1760sf of living with 3 generous bedrooms + oversized den. Spa inspired bathrooms, over height ceilings, floor to ceiling windows, luxury kitchen with gas range, large private yard, high efficiency furnace and single car garage separate this home from the rest. Move in ready and quick possession available. GST Paid!